► Pack up your slides and mail them to our lab. ► Once your order is complete we will neatly pack up your originals and return them to you safely along with your Gold DVD containing your new digital scans! • Please leave slides in carousel and carousel box. 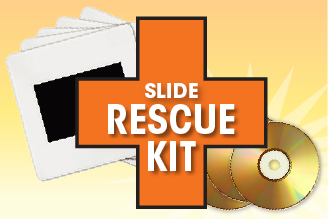 • Please keep slides as clean as possible. • We scan in the order that we receive the slides. • 4100 DPI is standard resolution. Higher resolution is available. • Color correction is available.